Market fresh flavors in a room with a view. 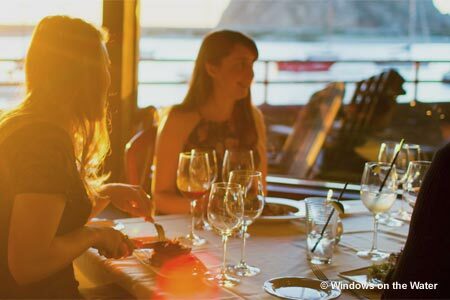 : This aptly named restaurant sits perched above the Morro Bay Estuary with understated elegance. Always a good go-to for special occasions, it’s also a great choice anytime you want dinner with a touch of class. Sustainable seafood is the star --- especially in the Cayucos abalone salad, grilled king salmon and local sand dabs rolled into crispy pinwheels. Executive chef Neil Smith also opts for responsibly raised meats and local produce, touches that really shine in dishes such as a grilled pork chop with heirloom beans and house-made chimichurri, or a beef filet with balsamic-glazed cipollinis. For dessert, there’s always something chocolate that deserves a try, usually a ganache with seasonal fruit. The wine list offers nice by-the-glass selections, and there’s a full bar and draft beer. A nightly $30 prix-fixe ($45 with wine pairings) and lively happy hours can stretch the budget, and brunch and/or special dinner menus are usually available on holidays.